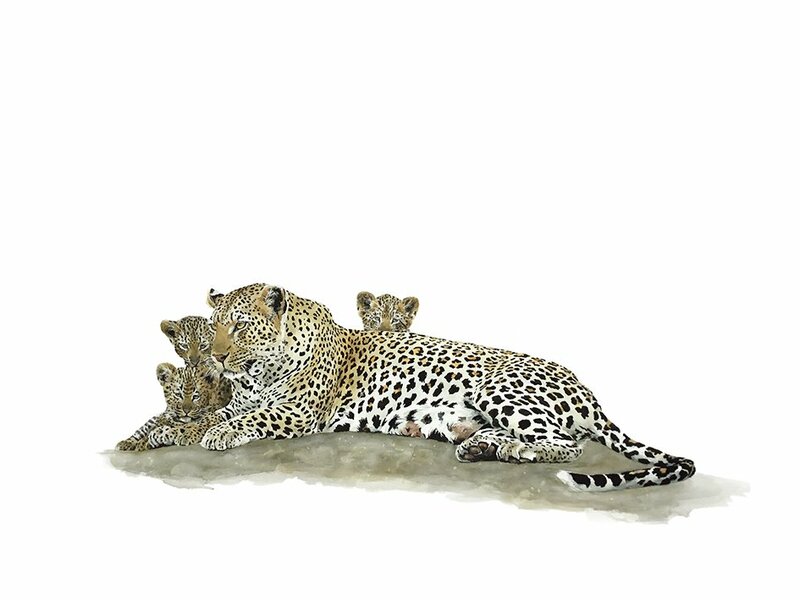 Art print of a leopard and cubs. 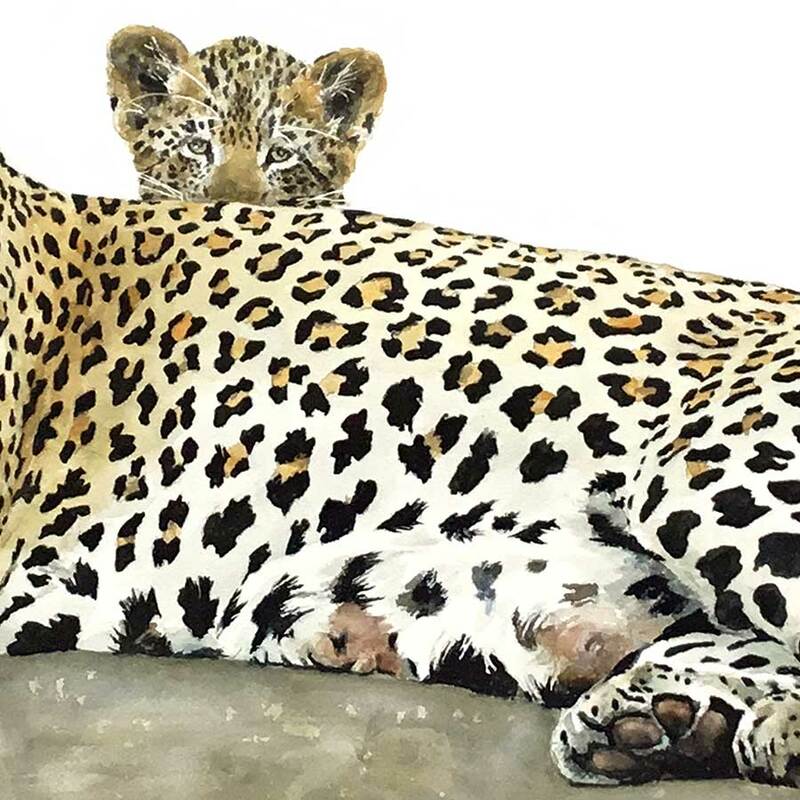 Limited edition print of a leopard. Alternative spellings often confused with Sue Dickinson: Sue Dickenson Sue Dickison Sue Dixon Sue Dickerson. 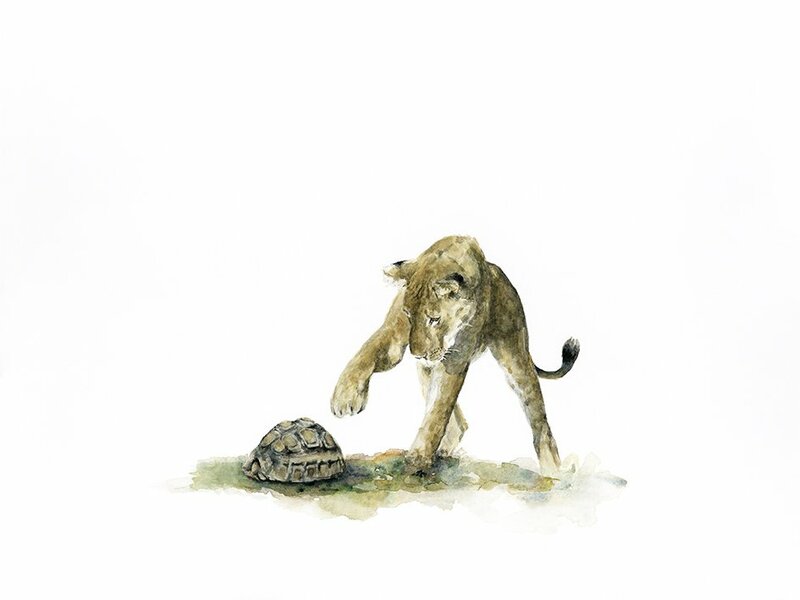 Animal artist Sue Dickinson. 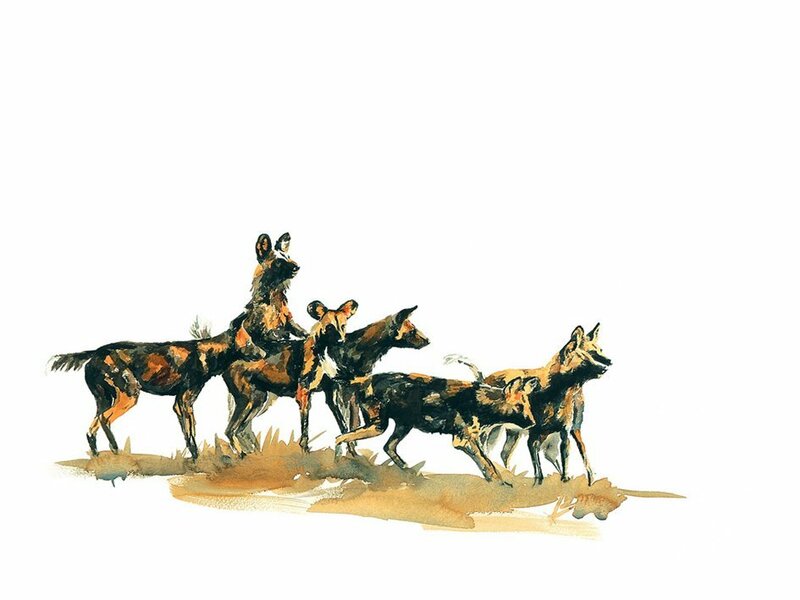 Wildlife artist Sue Dickinson. Each individual Leopard has different spots. The spots on either side of the nose are a very reliable way in which to identify different individuals. 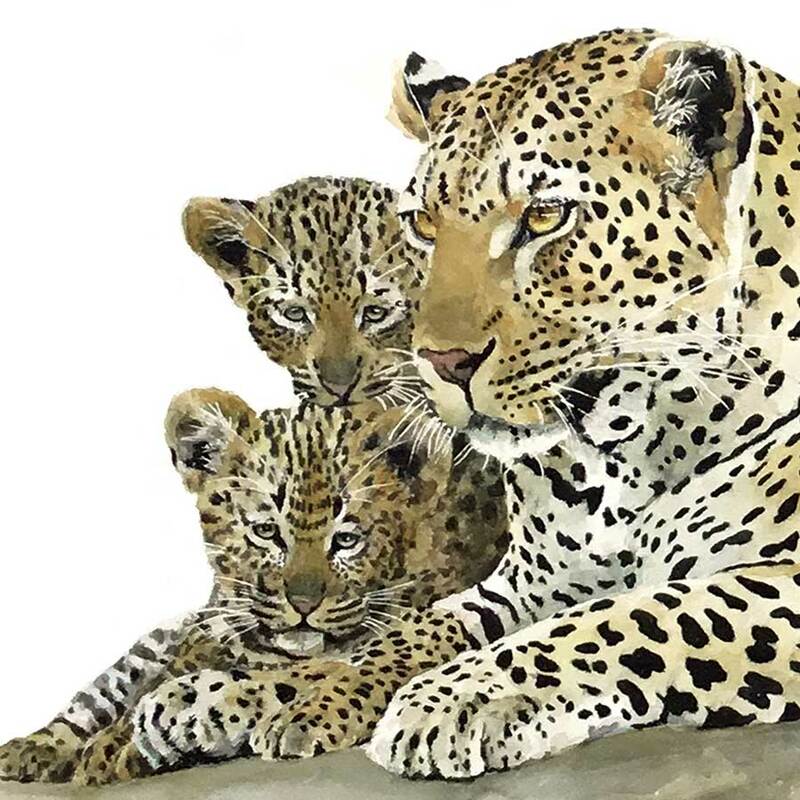 Painting of leopard. Leopard cubs are the sweetest little creatures. Closed eyes at birth are similar to domestic cats. When their eyes open, they’re the brightest blue. Sadly, their survival rate is very low. 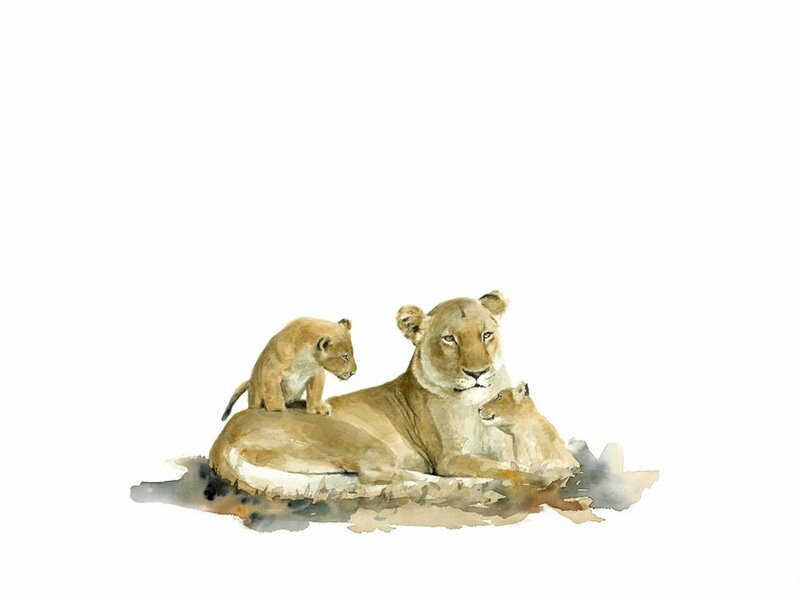 Females have a litter of 2 – 4 cubs. Of these, most do not make it to adulthood. This is because there is a high level of predatory interest in cubs. Female leopards expertly hide their cubs in well-disguised dens. Including caves, gullies, thick bush is any place that is difficult to find. But they are killed by other carnivores like lions and other leopards. If a male leopard is not the father of the cubs, he will kill the litter, so that he can mate with the female to produce his own cubs. Female leopards will immediately come into oestrus after her cubs have been killed, so that mating can take place quickly. Once the drawing is done, Sue Dickinson paints the dark areas in a very thin wash of Ultramarine Blue. This is because, once the layers of paint are applied, the black or very dark areas disappear. It means that features like the black spots are completely obscured. After this, Sue paints the body of the leopard in layers and layers of paint.